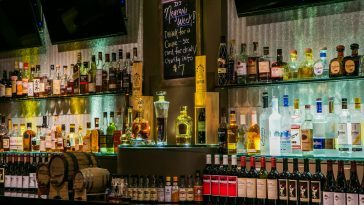 For today’s indoctrination into intoxication, we’re going to explore Las Vegas liquor libations. It’s a mad and marvelous world where candy, bling, and chemical reactions are all staples on the cocktail menu. 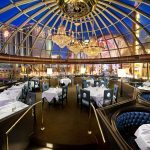 From crazy big servings and crazy expensive price tags to just plain crazy, here are 11 over-the-top cocktails you’ll only find in Las Vegas. Cheers! 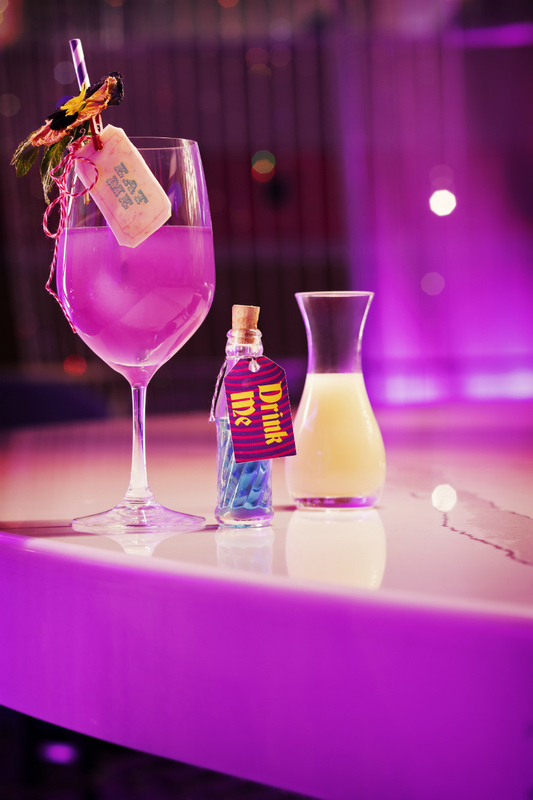 Created by The Cosmopolitan of Las Vegas’ Chef Mixologist Mariena Mercer, the “Alice In Wonderland–themed” We’re All Mad Here cocktail is like your personal invitation to the Mad Hatter’s tea party. It takes you on an interactive journey through a fantastical world, all while you sit on your barstool on level 1.5 of at The Chandelier cocktail lounge. Using vibrant, color-changing Empress Indigo Gin (infused with seemingly magical Butterfly Pea flower) and tongue-tingling “Eat Me” fruit leather (made from spilanthol), the cocktail is both a scientific masterpiece and a legendary story. 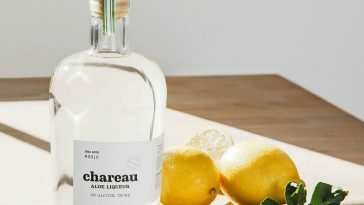 Additional ingredients include floral Soho Lychee, St. Germain, H20 Apple Rosewater, lemon juice, Chardonnay, cardamom, and ginger syrup. After a sip or two you’ll be tripping like Alice and grinning like the mischievous Cheshire Cat. One cocktail. Two cocktails. More cocktails? Three! How about 12 cocktails on a cocktail tree? 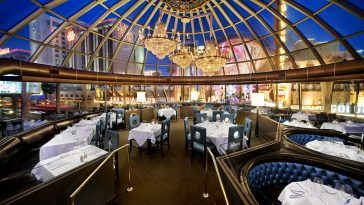 Sushisamba inside in The Grand Canal Shoppes at The Palazzo Las Vegas allows guests to choose three libations off its expansive signature cocktail menu. Those selections are then served in groups of four on a tree. If you’re more of a poet than a mathematician, that’s a dozen crafty cocktails. 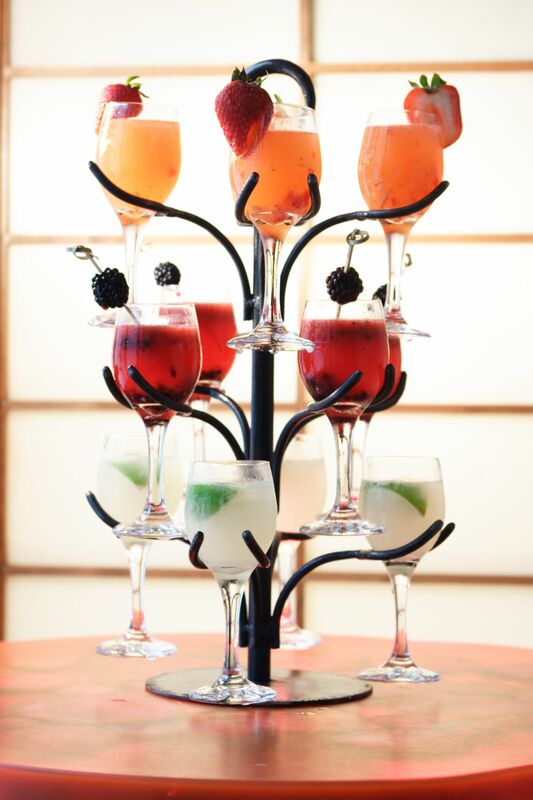 This giving cocktail tree is a fabulous option for both a large group of partiers or one major lush. Mr. Lucky’s Breakfast Bloody Mary is about to become the most important drink of your day. 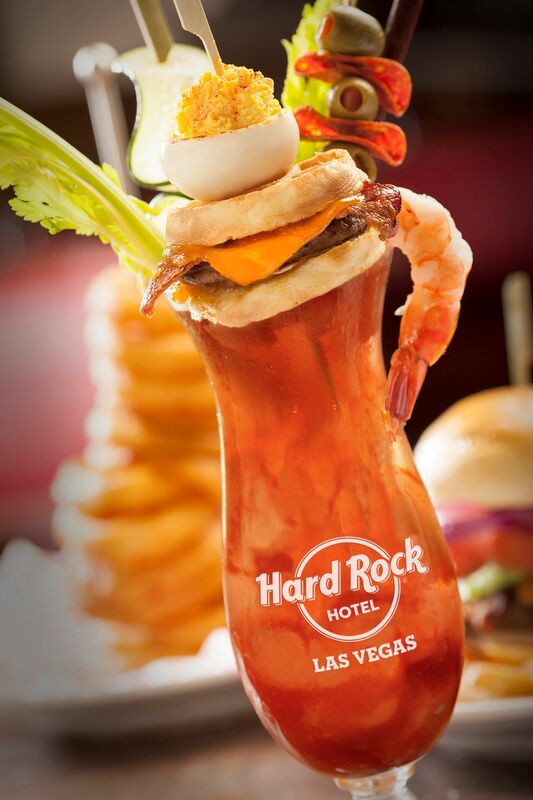 The hair of the dog Bloody Mary at the Hard Rock Hotel & Casino contains Svedka Vodka and house spicy Bloody Mary mix. Need a little protein? No problem! The cocktail is topped with shrimp, beef jerky, a deviled egg, a breakfast slider, celery, and a pickle spear. It’s a cocktail and a meal in one. Plus, you can keep the glass. Dress up your date with the XS Ono, a $10,000 cocktail that comes with its own bling. Made with Charles Heidsieck 1981 Champagne Charlie and Rémy Martin Louis XVIII, the chic cocktail for two is served at XS Nightclub inside Wynn Las Vegas with a pair of custom-designed jewelry pieces: a set of sterling silver Mont Blanc cufflinks and an 18K gold necklace with a black pearl and a diamond. 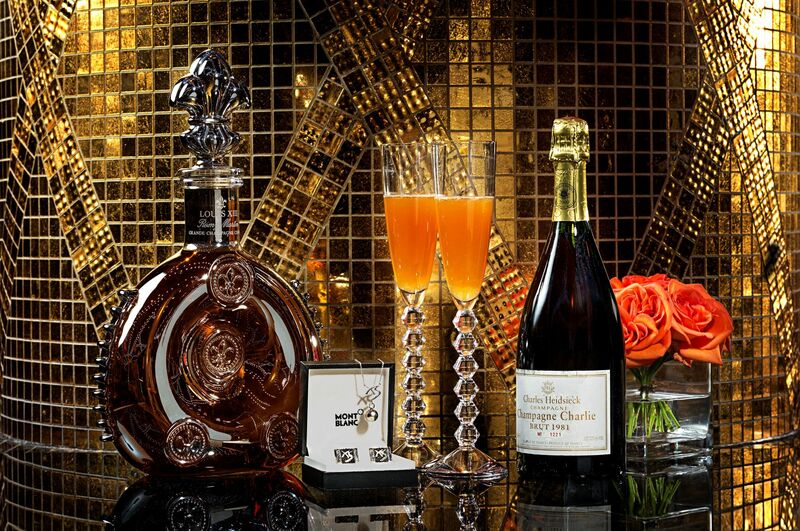 The XS Ono arrives on a tray with two gold-rimmed Baccarat Champagne flutes and gold-rimmed shot glasses. It’s not just a drink, it’s a fashion statement. 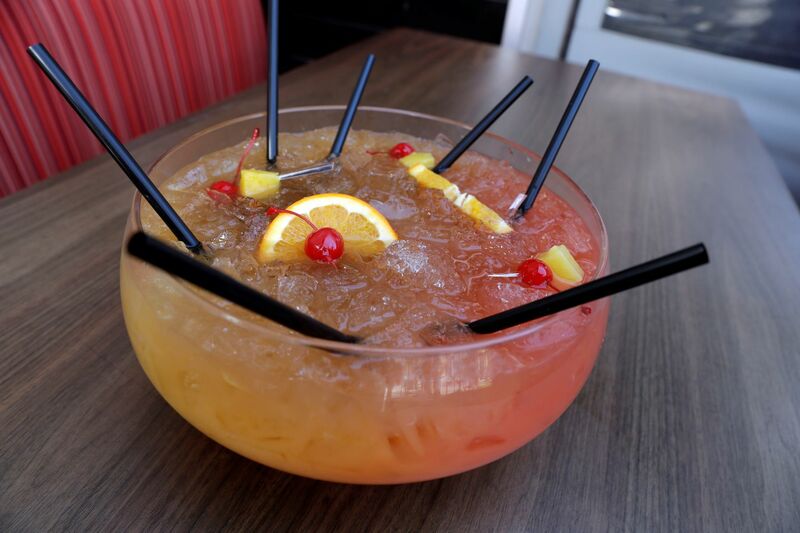 Why drink your cocktail out of a mere 8-ounce glass when you can go with a 100-ounce punch bowl? Las Vegas’ famed Porch Pounders, served at PBR Rock Bar & Grill inside the Miracle Mile Shops at Planet Hollywood Hotel & Casino, are like a cocktail on steroids. The Caribbean Sunset (pictured above) includes Bacardi Limón, Malibu Rum, citrus juices, grenadine, and a Myers Rum float. Guests can punch up their wild weekend in Sin City by sharing this massive mix while enjoying Strip-side views on the restaurant’s spacious outdoor patio. Smaller 16-ounce bowls are also available but where’s the adventure in that? You can’t go wrong with Pop Rocks. The fizzy candy is fun, and in the case of the Kiss My Asteroid, functional. 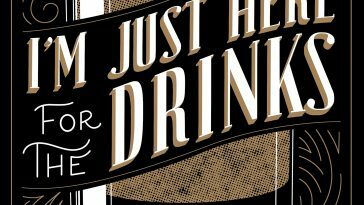 It adds some buzz to your drinking experience. 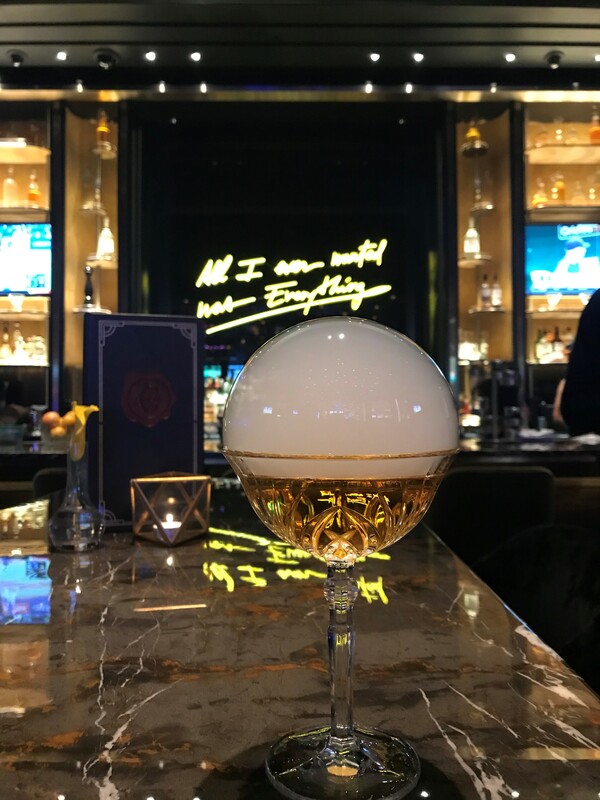 A mixture of Belvedere Peach Nectar, Soho Lychee Liqueur, Lillet Rose, Fassionola Syrup, lemon juice, strawberry fig vinegar, and Gruet BdB Champagne, the Kiss My Asteroid is another invention by The Cosmopolitan of Las Vegas’ Chef Mixologist Mariena Mercer. 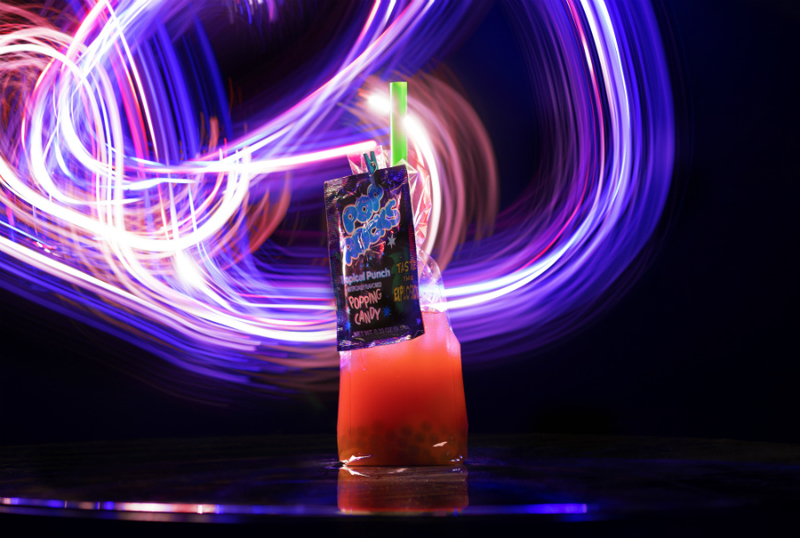 This space-themed “Spocktail” was created for the out-of-this-world Spiegelworld show Opium. It’s served in a bag with a scoop of apple pearls and garnished with a package of the playful popping candy. Every drink at Juniper Cocktail Lounge inside the new Park MGM has a story, but the Carnival is the sweetest because…cotton candy. 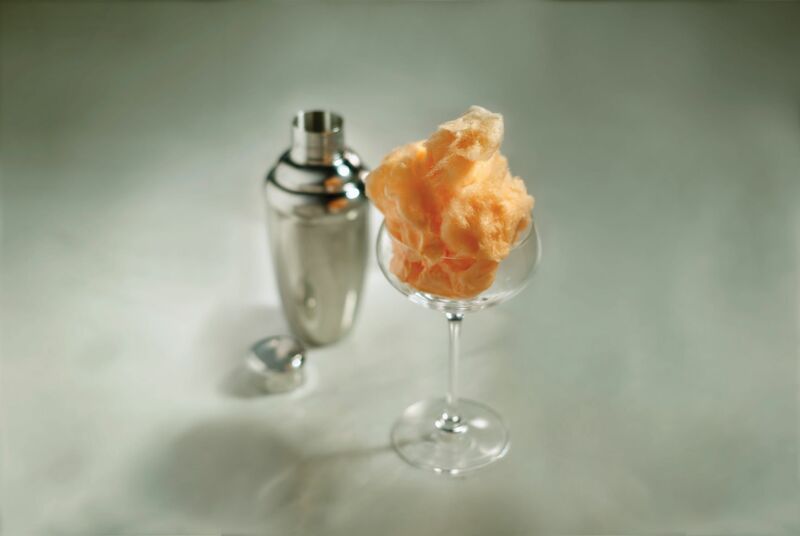 Upon the cocktail’s arrival at your table, the server pours a shaker of Tanqueray 10 Gin, fresh lime, and St. Germain over a glass filled with the fluffy, spun sugar. Next you’ll watch the greatest show on earth as the cotton candy slowly melts and melds with the liquid concoction. Now it’s time to take a sip and savor the carnival in your mouth. The Smoked Whiskey and Cola at James Beard award-winning chef Rick Moonen’s Rx Boiler Room at Mandalay Bay might just blow your mind. Instead of a typical glass, it’s poured into a large glass skull. 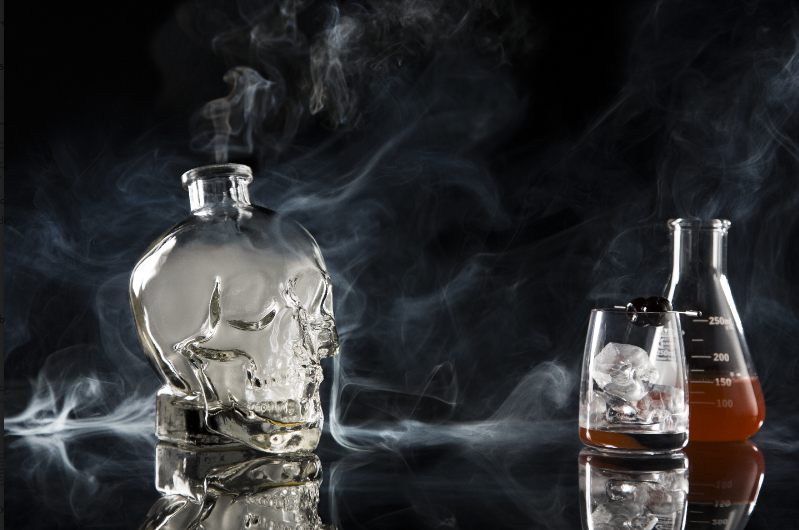 The cocktail is made with Old Forester Bourbon, Angostura bitters, a splash of soda water, and the restaurant’s in-house blend of cola syrup, then poured into the smoke-filled skull. Talk about a head of steam. 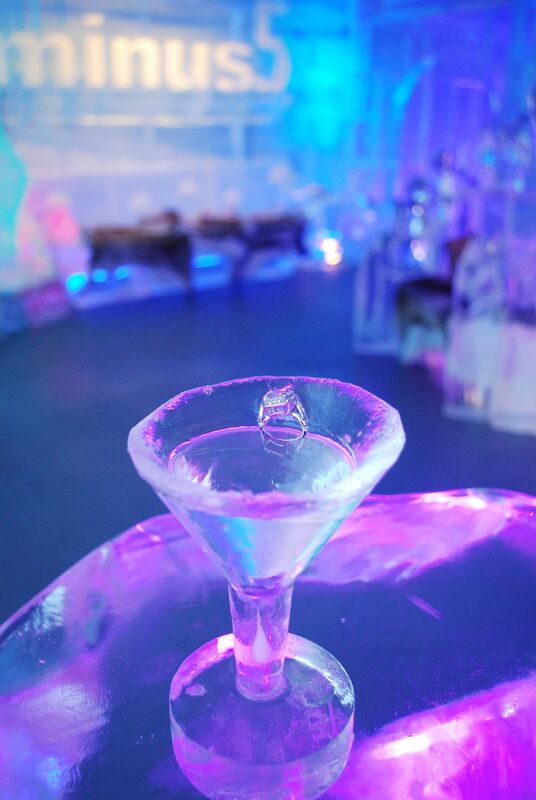 Melt her heart when you pop the question with the $10,000 Monica Martini at Minus 5 Ice Experience inside The Shoppes at Mandalay Place in Las Vegas. This Jewel of Russia Ultra Vodka martini is served in a martini glass sculpted from ice made from New Zealand artesian water and adorned with the diamond engagement ring of the proposer’s choice from Aaron Lelah Jewelers. It’s a memory that will be frozen in time. Just be sure to provide Minus 5 with 48 hours of advance notice. 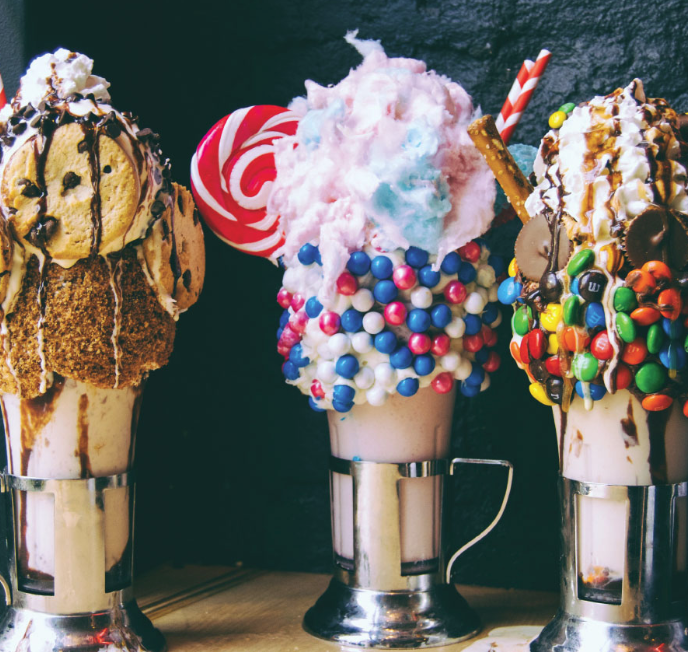 At the Venetian Las Vegas, Black Tap Craft Burgers and Beer serves a grown-up, boozy version of its signature CrazyShake, a milkshake with whimsical, over-the-top decorations like lollipops, Sugar Daddies, pretzel rods, Fruity Pebbles, Rice Krispies Treats, and Pop Tarts. 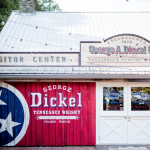 You’ll feel just like a kid in a candy store. If that candy store served alcohol, that is. Bubble, bubble, toil and …. 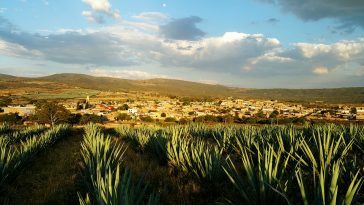 cocktail? Made with Absolute Citron, Cointreau, lime and cranberry Redbull, the Bull In A Bubble at Camden Cocktail Lounge inside the Palms Casino Resort is a twist on the traditional Cosmopolitan. It’s topped with vapors of dehydrated citrus, edible flowers, dried herbs and spices held by an edible bubble flavored with essential oils. This unique piece of “pop art” by Clique Hospitality’s Intoxicologist Eric Hobbie is served to your table intact. It’s up to you to burst the bubble and unleash a botanical mist. Pop goes the cocktail!